Welcome to Hotel Flora Desenzano del Garda. 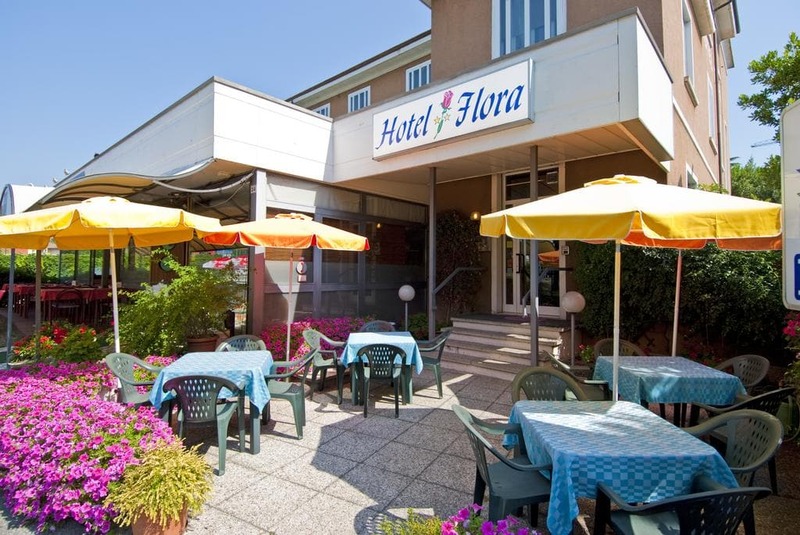 Hotel Flora is a little, friendly and quiet resort in Desenzano del Garda, located nearby the city centre, not far from the pedestrian area and from the lake, nevertheless it is close to the main communication roads and to the railway station. Half way between Brescia, Mantova, Cremona and Verona it also offers good opportunities for short interesting visits to cities rich in art history and culture. With our facilities we can satisfy all tourist demands, offering to our guests all comforts for a nice stay, especially appreciated by travellers and business men. Among our services we can number, in-room phone, fax, a wide parking place and the new Internet services available at the reception to send and receive E-mail. From Hotel Flora it is possible to reach the famous Gardaland and Caneva World parks, municipal swimming-pools, go-karting and many other sport and leisure activities. (Hotel Flora Desenzano del Garda hotels).